The Tiziu ( scientific name Volatinia jacarina ) is a small , 4 - 5 inch in length , bird of the Thraupidae family that breeds from southern Mexico down through Central America, and South America as far south as northern Chile, Argentina and Paraguay, and on the islands of Trinidad and Tobago. The Tiziu is the only member of the genus Volatinia. 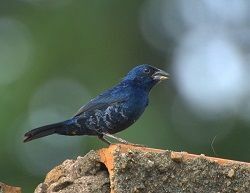 The Tiziu is also known as the blue-black grassquit, bouncer, tizirro, veludinho, , pile driver (in Rio de Janeiro), papa-rice, sawyer, and tailor. The Tiziu is sexually dimorphic. 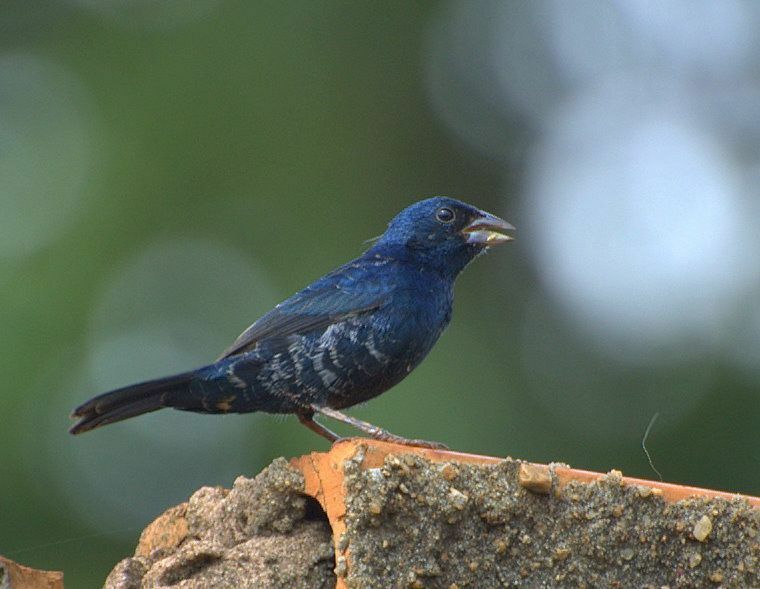 The male Tiziu have a blue-black plumage with small white spots underneath, while the female Tiziu has a brown color with dark striations. 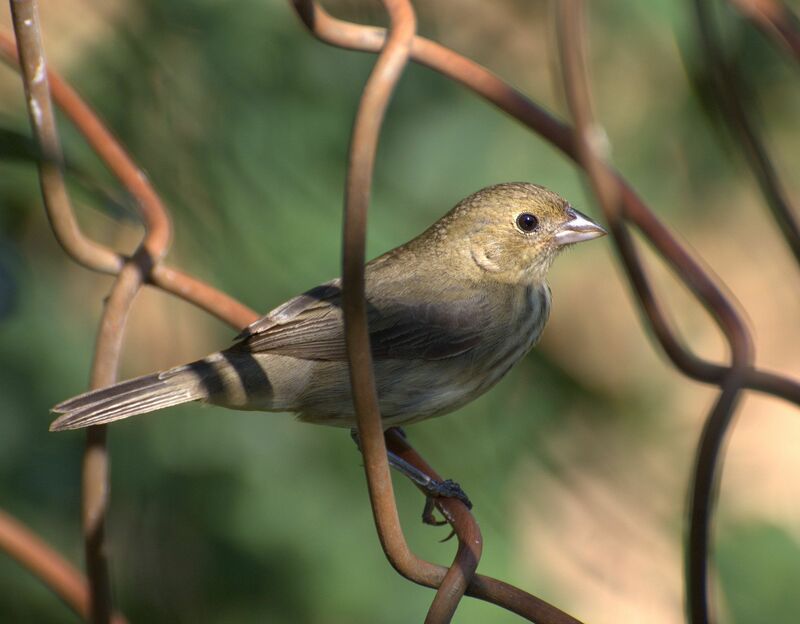 The breeding season of the Tiziu coincides with the rainy season of their habitat, from November to March. During this period the availability of resources is the greatest, with an abundance of insects , an essential source of protein for the young growing Tiziu, and grass seeds , the main food source for the adult Tiziu. During the breeding season, the male Tiziu can be easily spotted performing his mating ritual consisting of vertical jumps during which he flaps his wings, displaying his white spots and making a very distinctive sound, which gave rise to the Tiziu name.